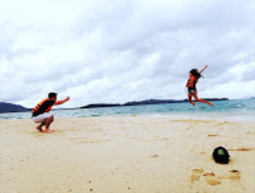 Nakanoi Island, 2 days 1 night. 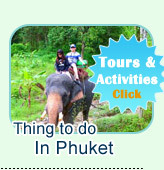 This trip starts from Phuket. 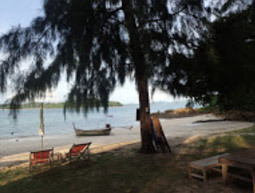 The package 2 days 1 night on private island takes to Naka Noi Island. 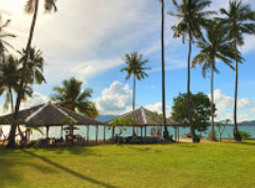 The island is not too far from Phuket with the private white sandy beach, private green tropical garden. 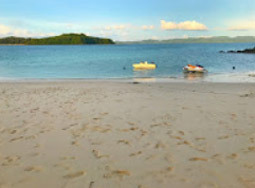 Along the beach, the snorkeling can be started from every point. 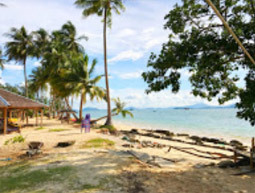 The beach activities such as Beach Volley Ball, Beach Foot Ball or Mini Golf can be provided as the private area on the Island. We recommend you to see all the highlight pictures with detail and the program, before submit the booking. 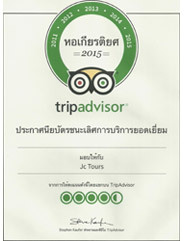 Or call and What App to +66895727603 for more information. 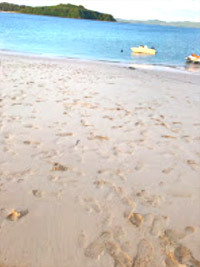 On Nakanoi Island: It is the nice small with full of relaxing emotion. The beach is very nice sandy and clear water. 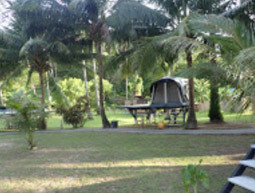 The garden on the Island is a very tropical with full of coconut plantation. 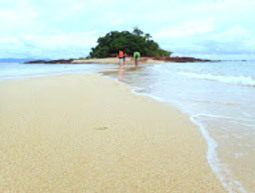 And the limited people per day to reach the island make a good feeling of privacy. There are so may corners of Nakanoi island that can make you feel funny with the island living life. For 2 days 1 night is great to get 3 atmospheres - Morning time, Afternoon and evening. 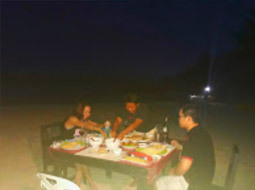 Dinner Time is the same moment of Sun down, we set up the dining table on the beach. 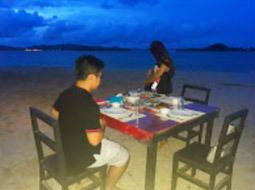 To make sure that you can get the best feeling of classic dinner with sunset atmosphere. 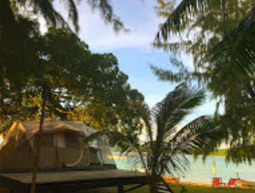 The beach side tents with private terrace are comfortable to sleep. They are located on the tropical garden connecting to the beach. Just few steps from your tent to the private beach. 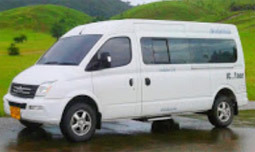 10:00 AM: Private Minibus of Jc.Tour picks up from your hotel or every area on Phuket Island. 11:00 AM: Arrival the Pier, Jc.Tour staff use the private speed boat (No need to wait the group) leave from the pier to Kon Nakanoi. 11:10 AM: Arrival Naka Noi Island. Welcome drinks with a young coconut of the Island. And tour guide leads to do the snorkeling on the snorkeling area. 12:00 PM: Check In at the Tents Tropical Garden Resort. Beach Side Tents. 12:30 PM: The Lunch served on the beach restaurant. 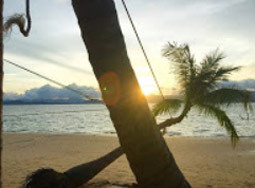 - Relaxing on the beach, Discovering the Island, Swimming, Snorkeling from the beach or do any activities. 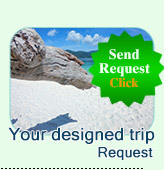 The Out of option water sports such as Parachute, Banana Boat, Jet Ski or Small Speed Boat can be arranged. 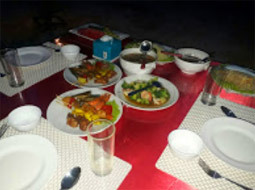 18:00 PM: Jc.Tour staff set up the dinner table on the beach - BBQ Seafood Dinner served at the same time of the Sunset. 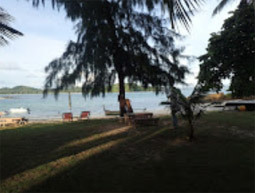 - Relaxing on your private beach - in front of your tent, stare the stars, listen the nature sound and waving on the beach. Overnight. 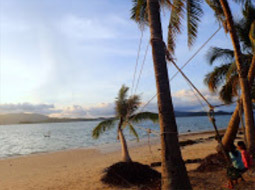 06:00 AM: Sunrise in front of your beach. The many big crabs walking around on the beach. If you love them, you can play with or take a good pictures of living life crabs. 07:00 AM: American Breakfast served at your tent's terrace. Enjoy sunrise and breakfast at your room. 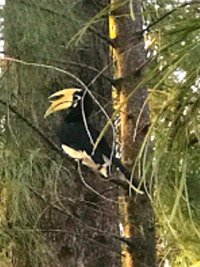 08:00 AM: Relaxing to walk around the tropical garden to see the "Horn Bills Birds" or the other rare to see forest animal. Or go out for swimming, snorkeling one more time. As well as the beach activities. 11:00 AM: We check Out. The private speed boat take you back to Phuket. 11:10 AM: The minibus of Jc.Tour picks up from the pier send you back to the hotel in Phuket. 12:00 PM: Arrival the Hotel. Equipment for snorkeling and other Beach Activities. 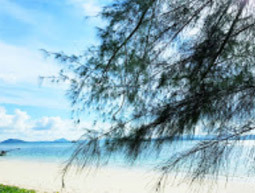 The Nakha Noi island is just only right answer for "Short Over Night Trip"